Sometimes love can be a rocky road, but relationship counseling can help you smooth out the bumps. If you are no longer talking and hostility is in the air, you may find it nearly impossible to resolve your differences and remain united. A licensed relationship therapist can help you find your way back to common ground. Communicate effectively - Each person must be given the chance to fully say what is on his/her mind, while the other partner takes a turn listening and vice versa. Argue constructively - This means no name calling or hitting below the belt and no dredging up old issues out of the arsenal instead of focusing on the current issue at hand. Instead of using language like "I hate it when you..." couples learn to substitute less combative language such as "I felt unhappy when ..." thus letting their partner know how they feel without automatically putting him/her on the defensive. Negotiate solutions - Counseling helps couples learn how to reach a compromise they can both live with. When one half of the couple loses, nobody really wins. Decisions need to be made by keeping what's best for the overall relationship in mind. Relationship counseling, or couple's therapy, is for any couple struggling with some aspect of their relationship. Couples do not have to be married or even living together to receive help. 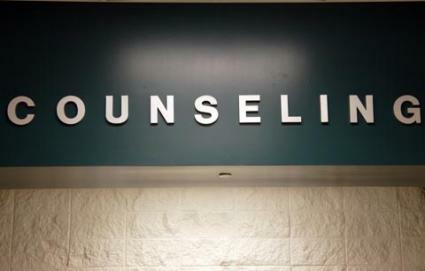 It should also be noted that not every couple who comes in for counseling is in deep trouble. Some couples see the therapy as a way to be pro-active about their relationship, helping them learn better communication skills to keep everything on the best possible track. Every couple brings different issues to the table, so there is no single set schedule for how long therapy takes to achieve the desired results. Most couples will visit their therapist for about an hour once a week, with most couples spending a minimum of one month in counseling. However, it does vary and depending on the issues involved, therapy can take a year or more. Your family physician may be able to direct you to a licensed family therapist whose work he is familiar with. Friends may also be able to refer you to a counselor who has been helpful to them. Failing that, check your health coverage for a list of approved family therapy providers. Yes, you can pick a name out of the telephone book but make sure any therapist you select is licensed by your state and has the educational credentials and enough practical experience to help you. Couple's therapy isn't a magical solution that can fix any relationship, but it can help a couple sort out what the future holds for them. While some couples are able to put their relationships back on solid ground, other couples may come to the mutual decision that it's best for them to go their separate ways. It all depends on how important the relationship is to each party.